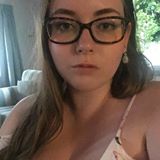 Feel welcome to make offers :) no time wasters please! Size 14 from Cotton On has zip details. 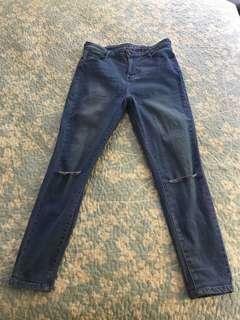 Size 14 cotton blue skinny jeans 7/8 length. Ripped knees. 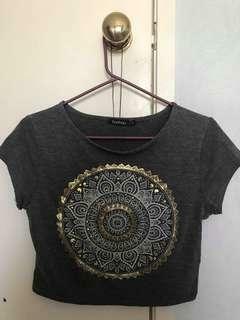 Size m would fit a size 10 - 12. From Boohoo. 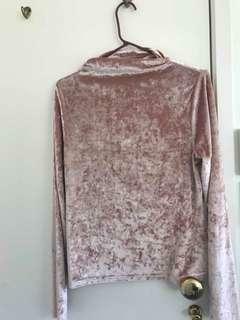 Size 14 pink crushed velvet top from Mirrou. Feels very silky and soft. 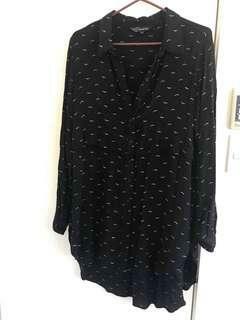 Size 14 bird print button up blouse. Is long line and good for smart casual wear. 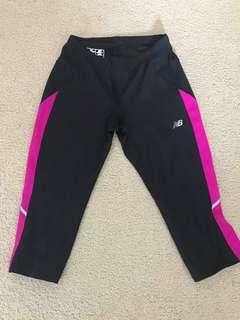 Size S/10 workout leggings from the brand New Balance. Brand new with tags attached halter neck leaf print swimsuit in size 20. 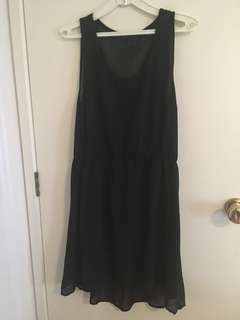 Has a deep plunge neck and an open back. 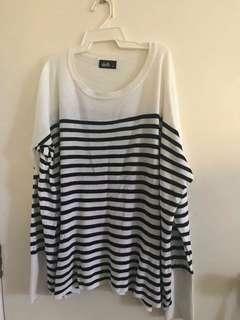 Size M (would fit size 10 - 12) striped jumper from Dotti. Size 16 button up blouse, great for work or any smart casual event. Has golden spots on it. 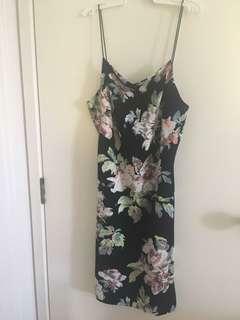 Size 14 bodycon floral dress from Boohoo. Worn once or twice to parties but still in excellent condition. 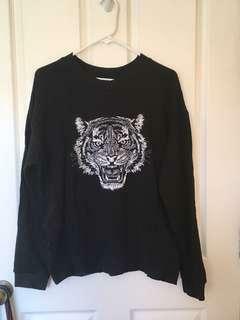 Comfy black crew neck jumper with a tiger head pattern. 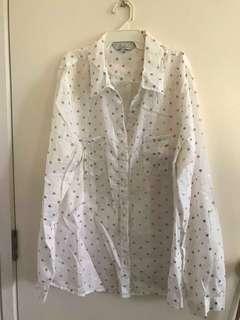 From the brand Mango, size L would fit a size 14 - 16. Brand new, never been worn, very soft and the tiger head is made from threads. 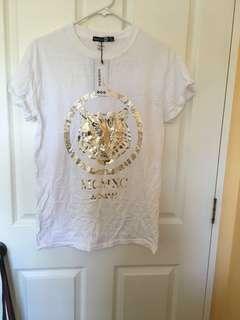 Boohoo brand white tee with gold foil printed tiger head. 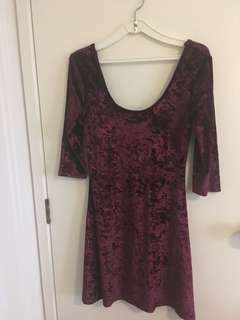 This is a size 16, fits true to size would also fit a size 14, never been worn and still has tags. 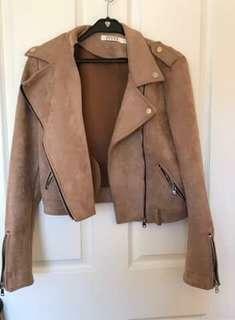 Faux suede cropped moto jacket, is a size L which would fit a 12 - 14. 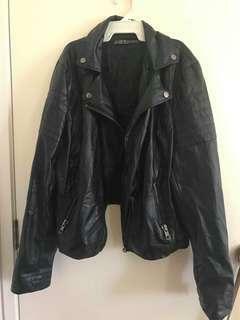 Brand new, never been worn, selling because I’m not a big fan of cropped jackets in myself. Feels really soft and well made. White tee from the brand OII size M and would fit an 8 - 10. 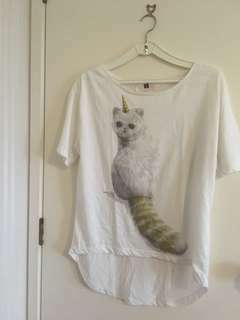 Has an adorable print of a cat with a unicorn horn on it. 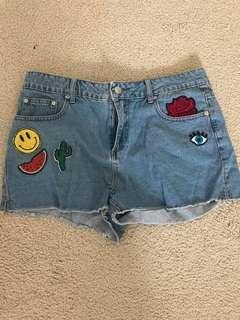 Boohoo size 16 denim cut off shorts. 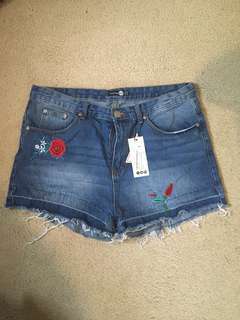 These feature some embroidered red roses on the front and one on the back pocket. Never been worn with tags still attached. 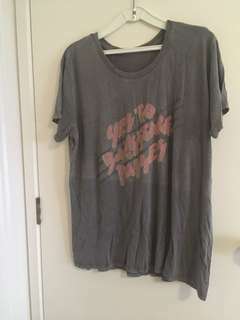 Size M from Cotton On charcoal coloured slightly over sized tee that says “yes to backstage passes” in the front of it.